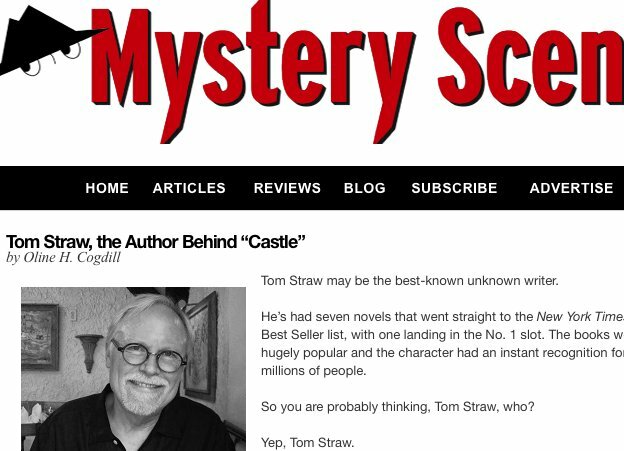 Mystery Scene Magazine on Tom Straw, Richard Castle, and more! "Tom Straw may be the best-known unknown writer. He’s had seven novels that went straight to the New York TimesBest Seller list, with one landing in the No. 1 slot. The books were hugely popular and the character had an instant recognition for millions of people. So you are probably thinking, Tom Straw, who? Though you probably knew him as Richard Castle..."
Tom Straw on The Craig Ferguson Show!